This is an original guest post by Ricardo Nuno Silva for VC Blog. Ricardo is a Portuguese applications developer with a longtime curiosity concerning the impact of digital technologies in everyday life. You can contact him at rsilva@pobox.com. In the last few years many tools and techniques have been developed to help us visualize songs, music and sounds. This post is a showcase of some of these greatest tools. 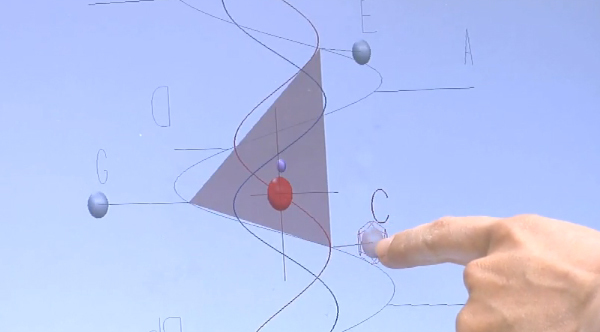 Each one is focused on a particular aspect of this challenging type of visualization. One of the most common examples of software for sound visualization is the one used in media players. But they usually only translate sound frequencies to shapes and colors on the screen. They’ve been used extensively for leisure, relaxation and dance parties. The tools in this showcase have a different approach, as they truly “understand” music in its individual notes. Some can be used in real time, while others need to do some number-crunching while analyzing each song. Below each image there’s the name of the tool or technique, some great video examples, and a link to the author’s site. 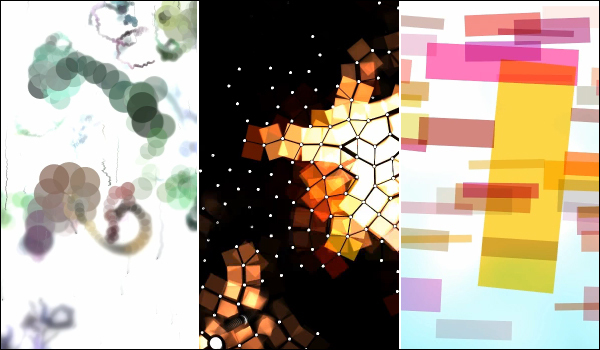 If you know other great tools or videos of music visualization, please leave a comment below or via email. Thank you! 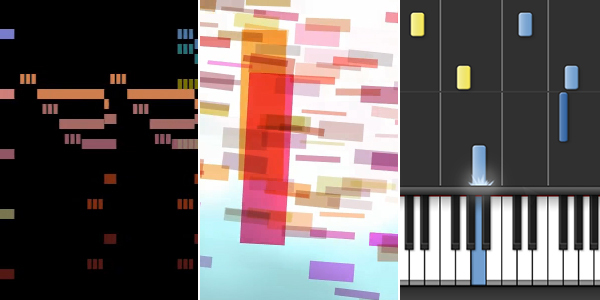 MIDI Music Visualization Videos for Deaf and Hearing Impaired People by Eric Rangell. 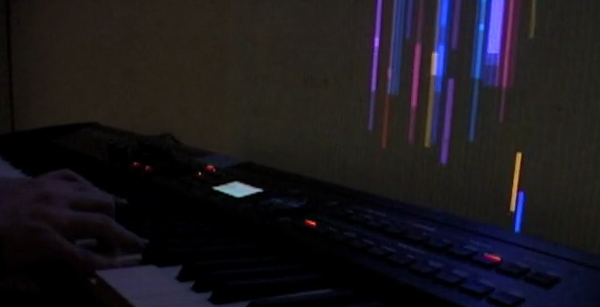 Music Animation Machine (MAM) by Stephen Malinowski. See: Beethoven 5th Symphony. Clavilux 2000 by Jonas Heuer. MuSA.RT - Music on the Spiral Array. Real-Time by Elaine Chew e Alex François. Synthesia (for piano) by Nicholas Piegdon. MIDIJam by Scott Haag. See: MidiJam (I just died in your arms). 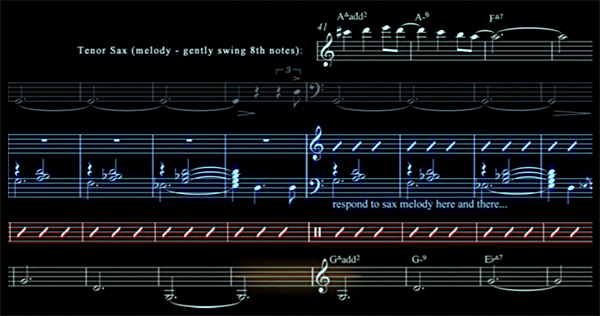 See other music-related visualizations @ VisualComplexity.com | Music. Nice article. If you search “Music DNA” you’ll find the project which visualize music meta data by different criteria such a writer, singer, author, band, year concert and also association with other groups. I think those are just simply stunning! Music with the utmost imagery, simply perfect. What program is used to make these videos like Ljósið ????? It never ceases to amaze me how just about anything can be represented via “visualization”. Some of the examples in this article are not only fascinating, but really stir the “artistic” soul! The Ljosio visualization is especially nice. As for more music representations, how about MilkDrop (made for WinAmp). Any recommended plugins for our audio players? Really interesting concepts. I really liked the idea of learning music through a combination of visual elements as well as an audio ones. Thanks for the great list! A little bit of expressions used, turbulence and spherical field tweakings. @neFAST: I think most of these visualizations use proprietary software, not open-source, free or public domain plug-ins. These are some really beautiful visualizations. I think Partitura is the best one yet. It\’s great to see how this art form is evolving in so many different directions. http://www.plane9.com might be worth a look. It captures any sound that is playing and it also has some player plugins. The scenes are open and can be modified or studied in the included editor. Most scenes react to music. Since its realtime it doesn’t match the quality of some of the offline visualizers. 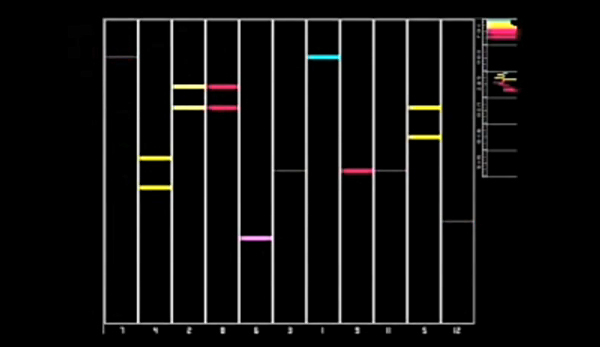 about three or more visualizations for my music, to visualize the music by sound input/output. Almost to synchronize to my beat. Can anyone help me with this project. I am trying to find something about sound visualization focused on sound parameters. what are these parameters and which of them are better to remind us of what we hear. would u please help me?